Some people have problems burning ISO’s back to CD’s. Here is a simple guide on how to do so. I do not endorse Pirating of software, this is merely to be able to access the data, play games, in case of broken/scratched CD’s. And yes I do own the original CD’s shown in this guide. If you destroy any of your hardware using this guide, don’t blame me. It’s up to you if you want to follow this guide or not. First of all download Image Burn it’s quite easy, and supports a lot of formats. After installation start up ImgBurn. Open the location of a saved CD image. Some images are saved as ISO, some are saved in other formats. I’ve chosen to show two of the most common ones. Here are ISO’s. 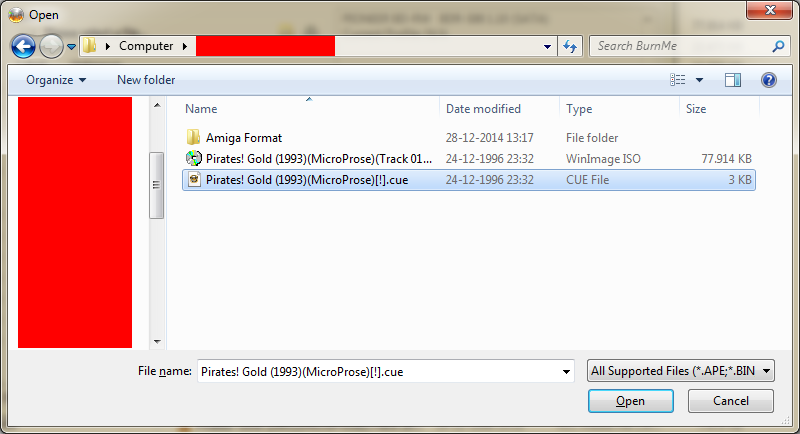 And here are CUE files. 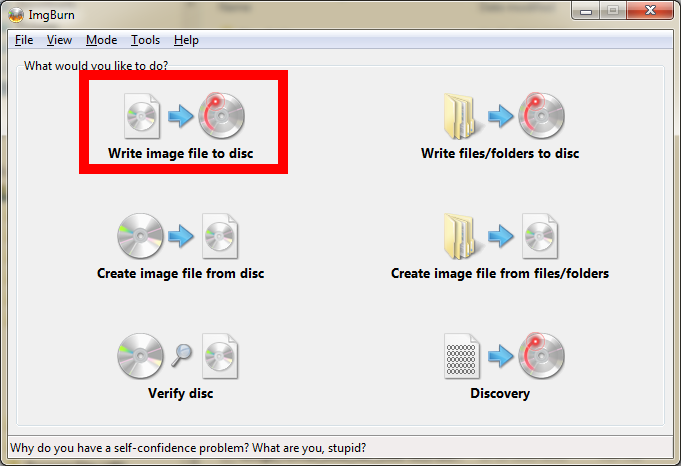 Whenever there is a CUE file together with CD images, select the CUE file. It is recommended to burn with a slow speed. I recommend 4x as maximum, but if you’re in a hurry, feel free to burn with a higher speed but be aware that the CD might not be readable in your retro hardware. Only thing you need to do now is click the burn button…. Great work. Easy to follow. I have the a1200 with the overdrive add on. Guess this should work for me?? Thank you very much for the links. I need to fire up the old beast again 🙂 Talking of beasts had my re-drawn Shadow Of The Best 2 T-Shirt turn up today. Really happy with it. https://dl.dropboxusercontent.com/u/92368375/beast%202%20tshirt.JPG Take care Carsten, Happy new year. Is it ok to burn slower than x4 such as X1 or x2 as I’ve heard the slowest speed for cd32 is best. Also I was going to use Nero but it always automatically changes the write speed to x16 everytime. 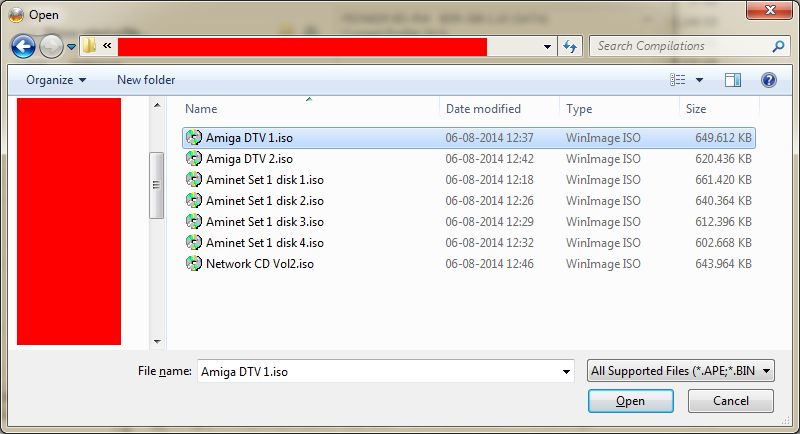 I’m also using Sony discs CD-R and that the fact is Sony created the laser for the Amiga CD32 as I read somewhere. The slower the better. I haven’t seen any evidence that sony discs are better than other brands in compatibility, they may last longer than cheap cd’s though. 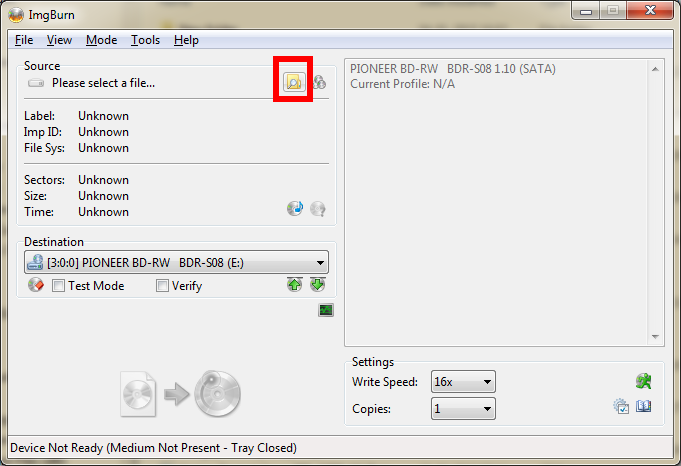 Yes it is a sony laser that are in most CD32, I can’t say if it is in all. I remember reading somewhere that the slowest setting may not always be the best one. Someone did a microscope closeup of the pits in a CD after writing it with different speeds, and there seemed to be a sweet spot somewhere in the middle where the pits had the clearest edges. In the old days with 4x writers, 1x was the best, but with 32x writers, it may be 8x that does the best. Perhaps because the lasers have become much more powerful to be able to cope with the high speeds and are not able to adjust the power output down sufficiently for the very low speeds. 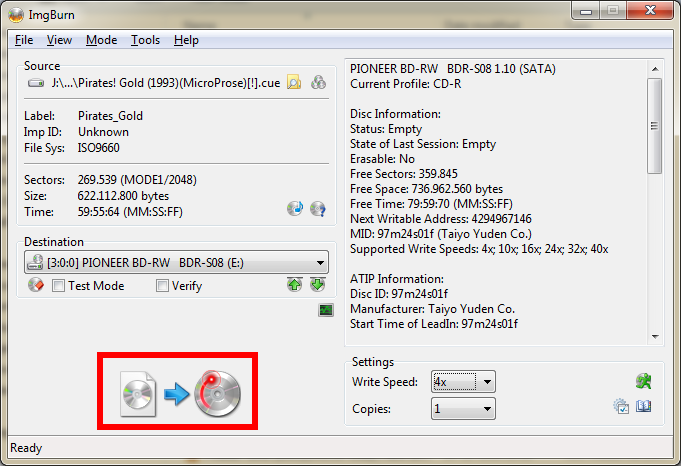 You should also set a speed which the writer can keep constant through the entire disc as changing speeds midway will always create small gaps in the data being written, making it harder to read. 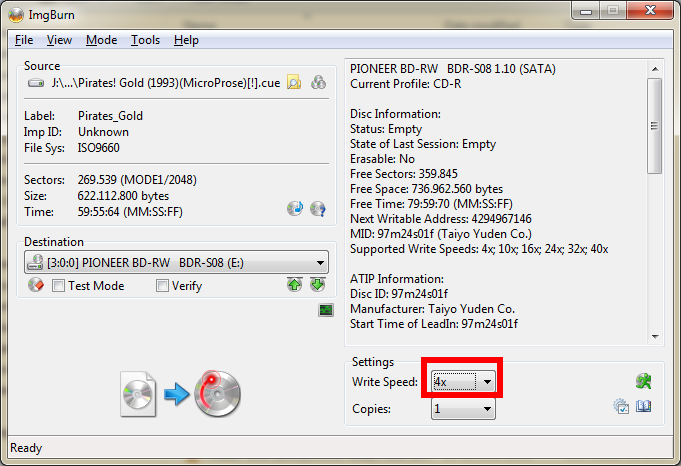 So if your writer never starts higher than 8x at the beginning of the disc, never choose a higher setting. My experience with Sony media is not the best. They are in the low end of brand media when it comes to reliability, at least in my collection. I have several, which despite looking clean and undamaged, cannot be read any longer. My best experiences have been with Verbatim/Mitsubishi/TEAC (all the same but different labels), TDK and Nashua. Very few of these have become unreadable, even after sitting for 20 years under the same conditions as the Sony media. This being said, today’s media quality can be very different and I would think that the quality of CD-Rs probably peaked 15-20 years ago when there was money to spend on it. After a while, it becomes all about reducing cost. Thanks for both getting back, yeah I know CD+R arnt the best that’s why I use CD-R and that Sony prefer them. I do know what you mean with branded discs. I found Datasafe ones have become yellow after many years of being stored in a jewel case and Imagion ones have tested the time and actually lasted. 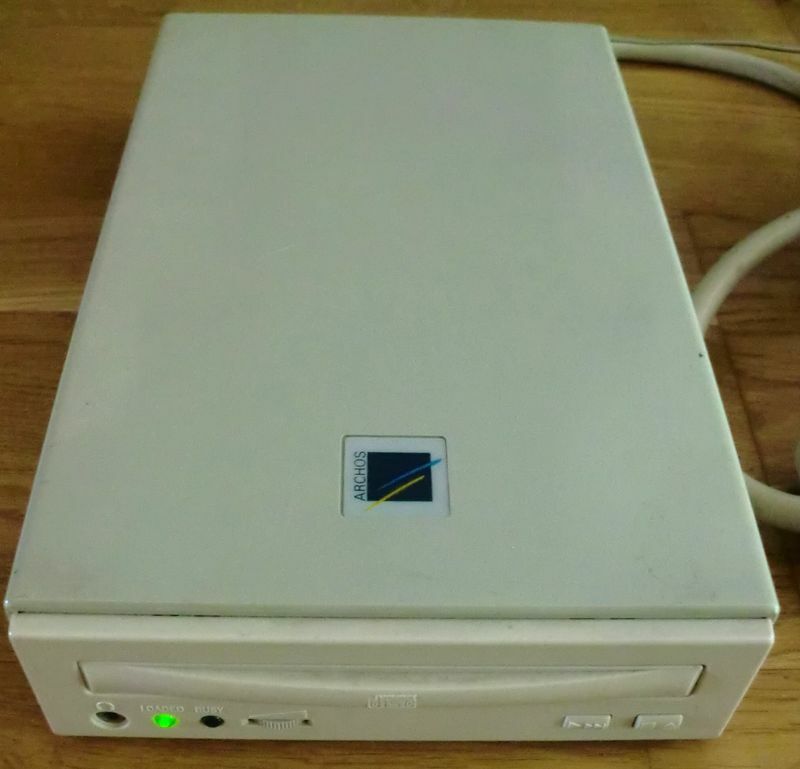 Basically I love the retro gaming experience and having used the Amiga 500 and 600 I was thinking the CD32 would be even better. That’s if you can get a CD32 for a good price these days lol. I do have an Android box that can run emulators but I haven’t actually found an android emulator just for CD32. If there were I could just run the Zip/ISO files instead of burning them all to disc using ImgBurn that you can select a slower speed as Nero always changes to X16. 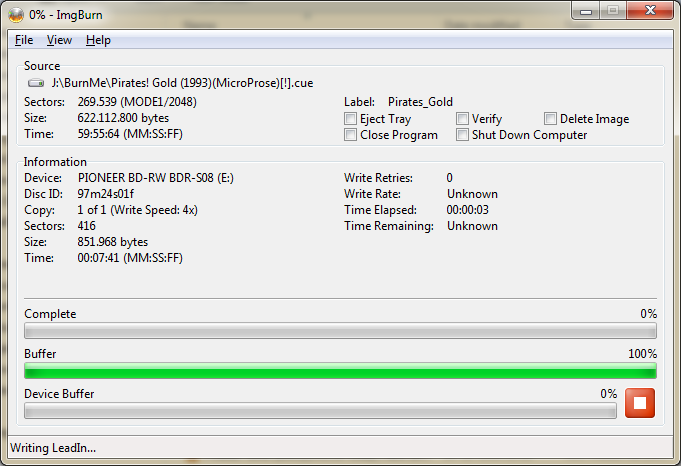 The Windows emulator FS-UAE works extremely well and the kickstart for the cd32 works also well. Unfortunately running that all on a desktop I wanted to run it on the downstairs TV. If not an emulator then the real thing using a S-Video for video & red & white/black RCA for stereo audio connected to a Scart adaptor as my TV led doesn’t have a s-video port. If anyone does know of an emulator though I would appreciate it as having 2 8bitdo Bluetooth controllers they would probably be supported by the emulator. I’m more guessing though it would have to be the real thing and buying some sega Megadrive controllers as they worked great on the Amiga 500.